Even before it has been officially opened, berth no. 4 at the Cuxport Terminal in Cuxhaven is already at work on its first offshore project. The new heavy-lift berth with a total capacity of 8.5 hectares of space is supporting Van Oord with the storage and transhipment of monopiles and transition pieces for Northland Power’s Deutsche Bucht windfarm, currently under construction in the North Sea. “By using the ship’s own cranes, it’s possible to complete the project without any shore crane. The fact that this new berth is being used for this project so soon after its completion shows how essential it is,” said Roland Schneider, head of business development at Cuxport. The port services company Cuxport handled a project consignment for the German agent of the Japanese shipper NYK Bulk & Projects through berth 3 at the Europa quay for the first time at the end of July. The crane parts weighing several tonnes were loaded on board the 175-metre long freighter MS Imari for shipment from Cuxhaven to Ho Chi Minh City in Vietnam. The Cuxport terminal provided an ideal consolidation and shipping port for this project load coming from various production sites because of its good geographical location and its suitability for handling heavy loads. 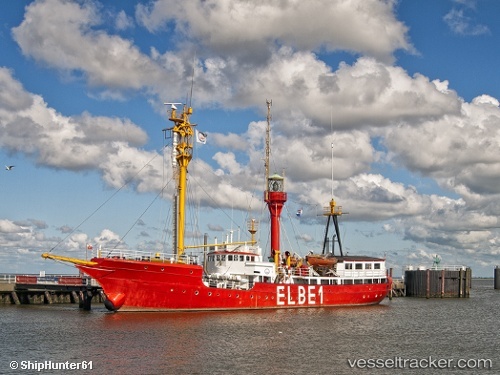 A coastal vessel delivered the jibs that were up to 36 metres long and made by Liebherr in Rostock via the Baltic Sea. The tower parts were transported to Cuxport from a production site in Sunderland in Great Britain by heavy-duty truck via the British ferry port at Immingham on a vessel operated by the DFDS ferry company. After their arrival at their destination in Vietnam, the components will be used to assemble two new port cranes.